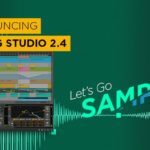 Bitwig Studio 2.4 is here, what to expect in the latest update? 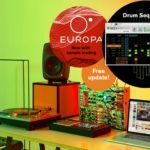 You are here: Home / Tech Corner / Tech & Gear News / Bitwig Studio 2.4 is here, what to expect in the latest update? 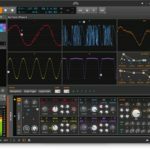 We recently covered the announcement of the Bitwig Studio 2.4 update, we’re glad to see the speculations were correct. Arguably the most important feature in the new Bitwig Studio 2.4 update is the overhaul of their built-in Sampler instrument. The rebuilt Sampler now has three internal playback modes – “Repitch” for traditional sampling techniques, “Cycles” for wavetable style sampling and “Textures” for granular control over the sample playback. Bitwig Studio 2.4’s Sampler now has a “Freeze” mode allowing you to manually control the playhead of the sampler. They’ve introduced an automatic root key detection mode for detecting the pitch of a sample, and also overhauled the multisample capabilities within the Sampler instrument, by adding zone crossfading and other nifty features. 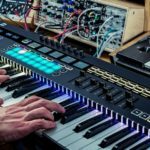 The 2.4 update sees the introduction of a variety of new devices and modulators, first up is “ParSeq-8” – the unique parameter step sequencer which allows you to create unique sequences to control banks of different parameters – similar to a CV sequencer in a modular synth setup. “Note Counter” is the next big introduction to Bitwig Studio 2.4, it allows you to set up complex modulations based on note input. 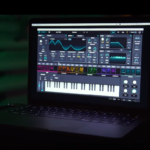 What about the new MIDI devices? “Note FX Layer” is a new device in Bitwig Studio 2.4, it allows you to stack several note effects as parallel chains, “Channel Filter” allows you to suppress incoming MIDI signals on specific channels, and “Channel Map” allows you to remap incoming MIDI signals to different parameters or channels. The 2.4 update also sees the introduction of a host of bug-fixes and improvements, far too many to list, alongside a host of visual improvements to the GUI. Licensed Bitwig Studio upgrade plan users will receive a free update to the latest version, otherwise you can buy the full version for USD $399 (Around R5700). 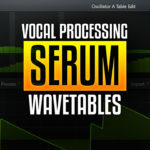 For more information, including the full release notes, check out Bitwig’s website. Check out our previous article on the Bitwig Studio 2.4 update announcement.